Spike Island presents a new exhibition by emerging Welsh artist Sean Edwards, his first major solo show in a public gallery. Edwards is interested in the poetics of failure, regret and disappointment, and his practice investigates such matters through the materiality of everyday objects. With Maelfa he extends his focus to an entire building and lived system, focusing on its disappearing communities and faded utopian aspirations. 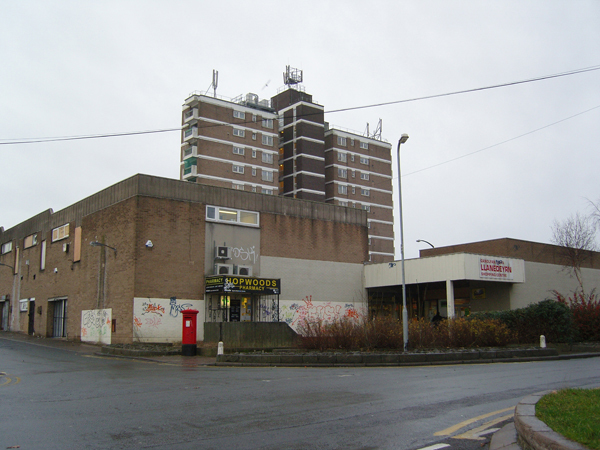 Built around a block of high-rise flats on a council estate in 1973, the Maelfa (from the Welsh word for ‘market’) Shopping Centre in the Cardiff suburb of Llanedeyrn was intended to provide a thriving focal point for the community. A classic municipal build of its period, the centre’s potential as a new, localised system of living was compromised by institutionalised cost- cutting that undermined the original modernist architectural principles of flow, space and light. Mean proportions, poor construction and an air of desolation led to Maelfa’s steady decline over subsequent decades. Edwards undertook a residency in the centre in 2009 ahead of its scheduled demolition, making photographic and filmed studies of the building and interacting with the people who use it. The resulting work is contemplative and reflective, nostalgic rather than critical: Edwards grew up in Llanedeyrn, using the centre and its library on an almost daily basis, and his father still lives in the neighbouring tower block. The centrepiece of the exhibition is a slow-paced, high-definition video, also entitled Maelfa, in which the camera glides smoothly and silently through the building’s interior surfaces, creating a dream-like portrait of the space. No exterior shots are ever shown, but with one sweeping movement the camera pans across glass and corridors for 22 minutes, a style familiar to us from haunted house movies and science fiction films and as first seen in Max Ophuls’s works from the late 1940s. 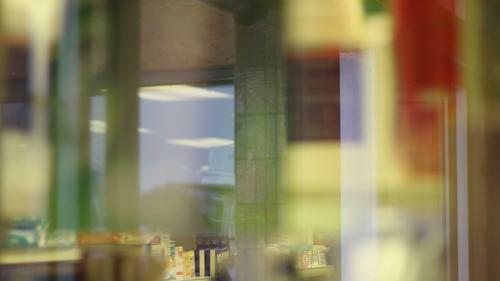 In directing the camera towards the glass windows, the artist creates an extreme close-up which allows the viewer to witness three planes simultaneously: the focus slowly shifts between the shopfront’s display and the shelved objects deeper within the store, all the while allowing moments of activity in the shopping centre to reflect into view. The video is accompanied by an installation of photographs, prints, 16mm films and a large hanging sculpture. These elements will be shown alongside documentary ephemera relating to the project which includes architectural plans of the Maelfa centre pinned up in a specially- designed reading area. 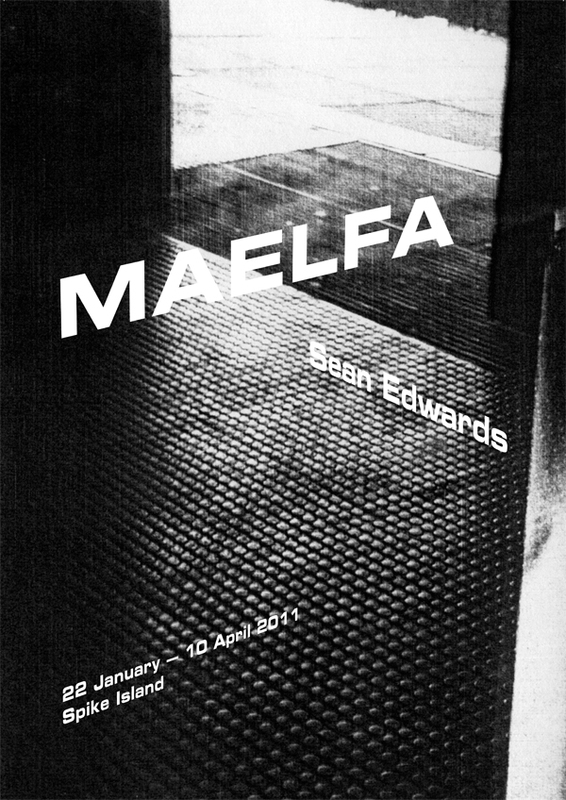 Taken as a whole, Maelfa can be read as an anthropological investigation of both a specific place and of the broader project of state-sponsored modernism. Maelfa has been made with the assistance of The Elephant Trust and Safle with the financial assistance of the Arts Council of Wales. Sean Edwards (B. 1980, Cardiff, based Abergavenny) Recent and forthcoming solo shows include Spike Island, Bristol (2011); Outpost, Norwich (2010); Limoncello, London (2009); ICA, London and Moot, Nottingham (both 2008). Recent group shows include the Temporare Kunsthalle, Berlin, Lisson Gallery, London, and Wallspace, New York. 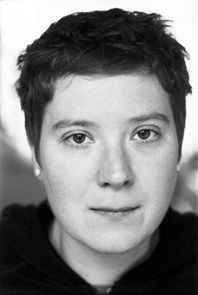 Lynsey Hanley, author of Estates: An intimate history (Granta) and a Guardian writer and BBC broadcaster will talk about her social study of estates/memoir and her wider writing on class and social segregation. This entry was posted in Art Events & Exhibitions, News. Bookmark the permalink.